Incognito Heat Co were consulted at the initial pre-design stage of this proposed development, a stunning family home, with heat pump and underfloor heating, in an equally stunning location on the north east coast of Scotland, between Aberdeen and Dundee which enjoys panoramic views across the North Sea for this young family. 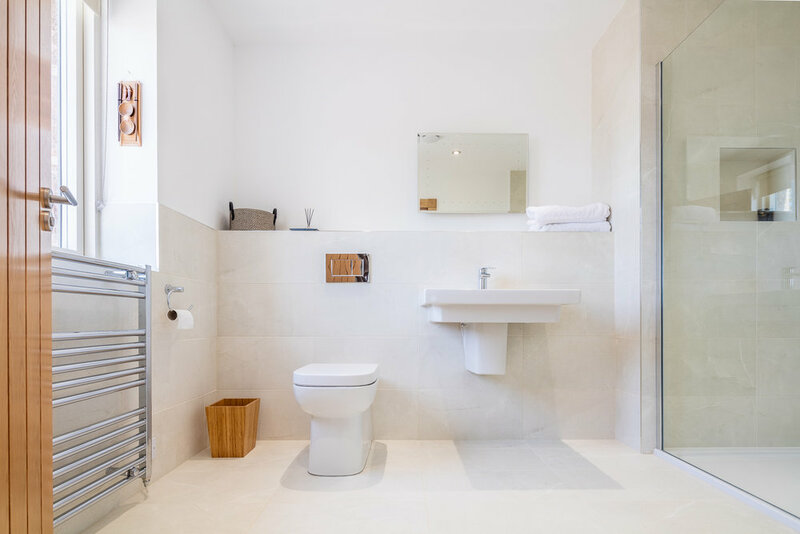 Working closely with the architects, Cowie Chartered Architects Ltd, and main contractor, Fotheringham Property Developments Limited, Incognito Heat Co were appointed to plan an efficient underfloor heating and a domestic hot water strategy. We were delighted to take up the challenge. Why Underfloor Heating in Aberdeen and Dundee? The first thing people think about when they hear about underfloor heating is mess. Everyone thinks installing underfloor heating in Aberdeen or Dundee is going to cause a huge mess in their home or commercial building. And, of course, that it’s going to be an expensive mess. When you work with the right installer, underfloor heating takes very little time, makes very little mess and, more importantly, it costs very little in the long run. In fact, whether you change your existing flooring is up to you. If you’re in the middle of a refurbishment, then you probably already had it in the books. If you love your current flooring, installing pipes underneath it is perfectly doable – without harming it. 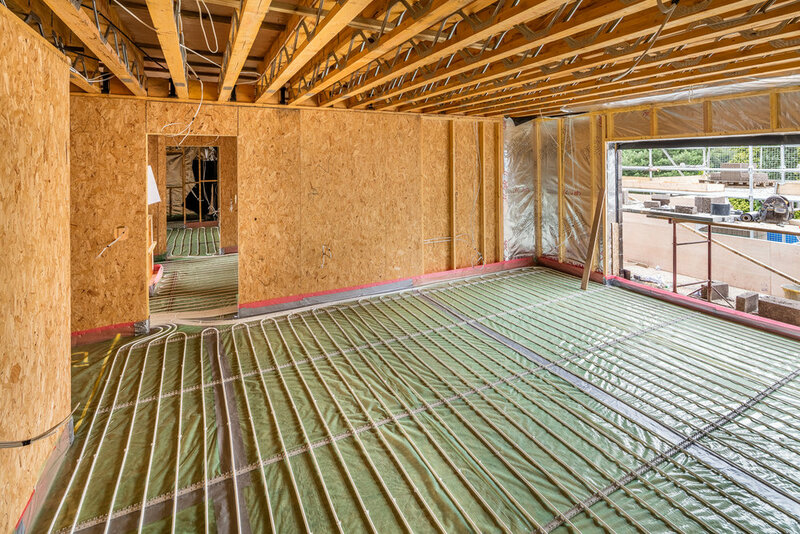 Improved thermal comfort: underfloor heating radiates heat from the floor to the roof. Unlike conventional heaters, it allows for a pleasant environment at a lower temperature. Cost savings: underfloor heating is more efficient than conventional methods. The water in a radiator needs to be heated at 65-67 degrees Celsius. For underfloor heating, 27 to 29 degrees are enough. Plus, it doesn’t depend on oil prices rising due to political or economic instability. 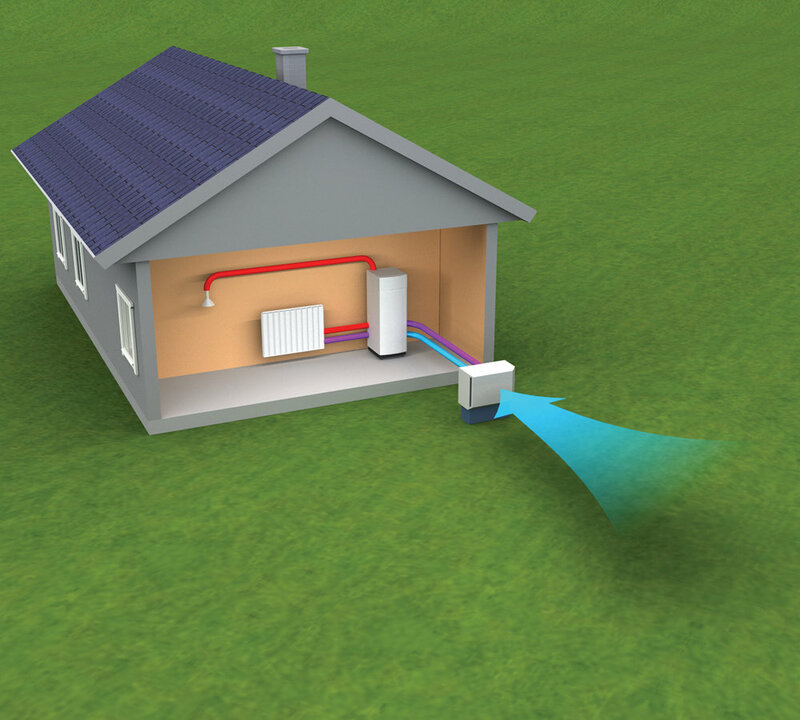 Green energy: the water used in the pipes can be heated by heat pumps and pumped round with electricity obtained through solar panels or wind turbines. You can have your entire home running on renewable energy, thus helping the environment and your wallet. Extra space and better design: tired of searching for clever ways to mask ugly radiators? Underfloor heating isn’t too pretty, either, but it’s completely out of sight. You can use the space where radiators used to be for a stylish decoration that gives every room a unique personality. Better air quality: radiators circulate the same stale warm air through the room. Underfloor heating allows for fresh air circulation without harming the energy efficiency of the system. Faster heating: the right underfloor system can heat your room in 20 minutes or less. That significantly faster than conventional radiators that need to heat the air around them first. No energy loss: when you have a radiator in your home, you already know what opening the window above it does to your energy efficiency. You’re basically throwing money off that window. As the name says, underfloor heating heats the floor, which means that, even if you open the window, the energy loss is minimal. Child friendly: Forget about baby-proofing metallic edges. Underfloor heating is safely tucked away. Plus, even the youngest members of your family can walk barefooted on a warm floor. No maintenance: if your system is installed correctly, it will last for a lifetime without any maintenance work. Now this truly is long-term cost saving! At the heart of our proposed system was a 3 phase 16kW Thermia Diplomat Duo Optimum ground source heat pump, with a 200 litre buffer vessel to serve the house's space underfloor heating, and 300 litre domestic hot cylinder to provide the house's domestic hot water requirements. The field on the east coast between Aberdeen and Dundee, where the looped collector pipes for the ground source heat pump were laid. 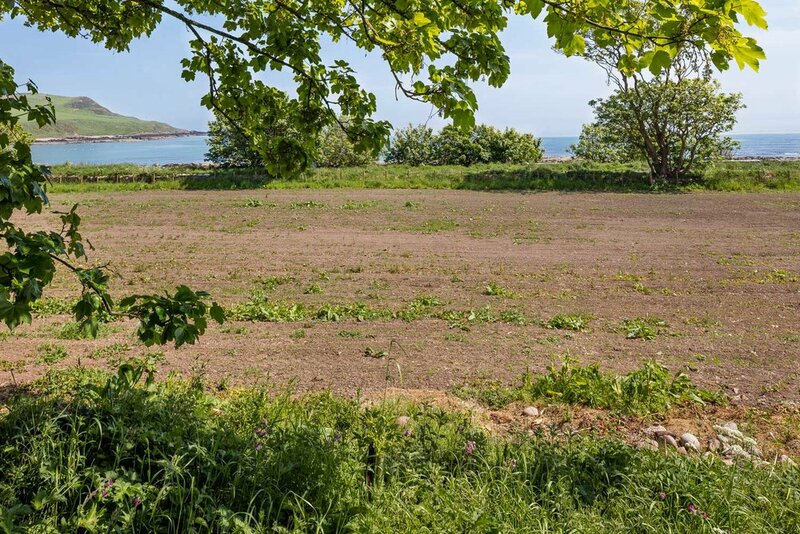 The renewable energy for this heat pump between Aberdeen and Dundee is drawn from the ground via an array of ground collector pipes. 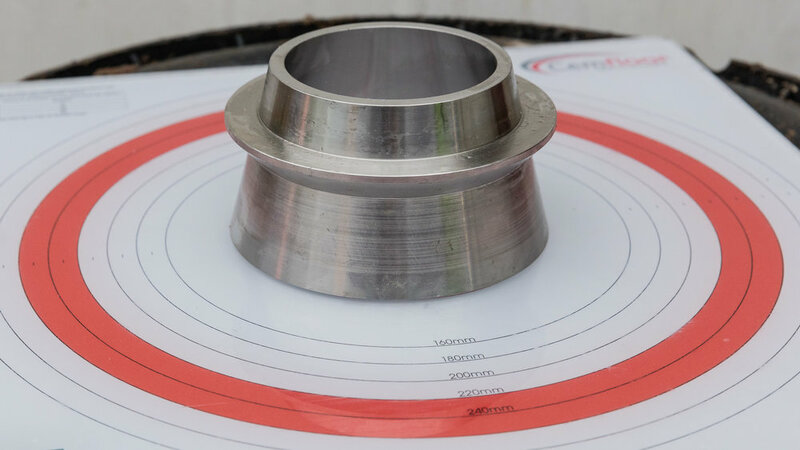 In excess of 1000 metres of this pipe is buried horizontally one metre below the surface of the garden grounds of this property, and is connected to the heat pump which is located in the plant room of the house adjacent to the garage. This pipe is then filled with a specialist glycol heat transfer fluid which is circulated constantly through the pipework whist the system operating, drawing low grade heat from the ground, and delivering it to the heat pump. This is where the heat pump works its magic, using its reverse refrigeration technology, turning this low grade heat into high grade heat, sufficient to providing stable warm comfort throughout the entire property during the coldest winter condition’s, and all the properties domestic hot water requirements. Inside the house, on the ground floor our Ambiente underfloor heating Aberdeen system, with its pipework buried in the floor screed, ensures that an efficient comfortable controllable atmosphere is constantly maintained. On the first floor, heat pump compatible radiators have been fitted. Incognito Heat Pumps and Underfloor Heating Aberdeen worked closely with Fotheringham Property Development (from Gourdon, also between Aberdeen and Dundee) and the owners, as the house was being constructed from early springtime 2016, through to its successful completion and hand over just before Christmas 2016. The results, we are pleased to report that the system came through the harsh #BeastFromTheEast winter of 2017/2018 without missing a beat, keeping the family warm and in hot water (in the nicest way). Incognito team members turning up for work on the first of March 2018 (but didn’t get anywhere else after that). 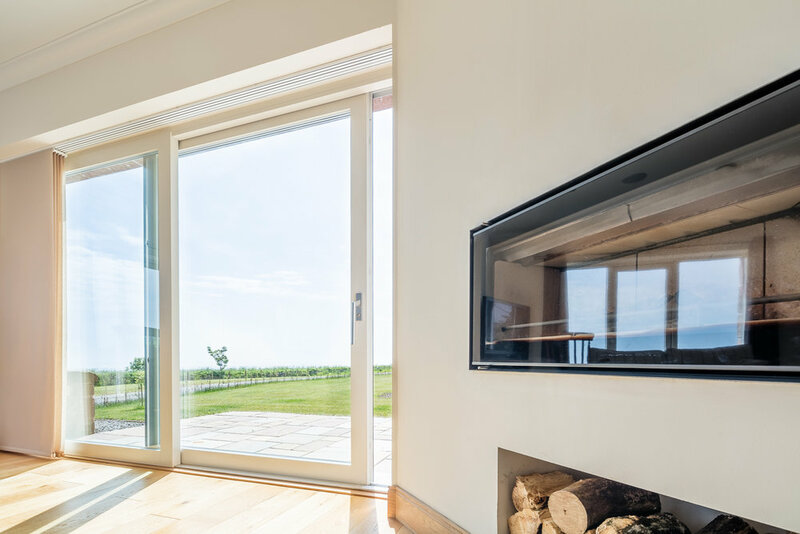 Building your own dream home, have a similar requirement for a state of art modern super-efficient heat pump and underfloor heating system in the Aberdeen and Dundee area? Please contact us for an initial consultation, we look forward to hearing from you! The use of engineered joists is increasingly common in house construction. These provide challenges for the Underfloor Heating designer and fitter alike, as traditional installation methods must be adapted, resulting in increased costs and install times. As a result some contractors view radiators as a comfortable trade-off on upper floors. In response Incognito Heat Co. has developed the Prima Rebus™ system that overcomes these issues, and installation is carried out both quickly and safely. Prima Rebus™ High quality floor screed for timber joisted structures. Prima Rebus™ is a liquid pumpable self-compacting screed system with additional binders and additives which has been developed for use on timber joisted structures. 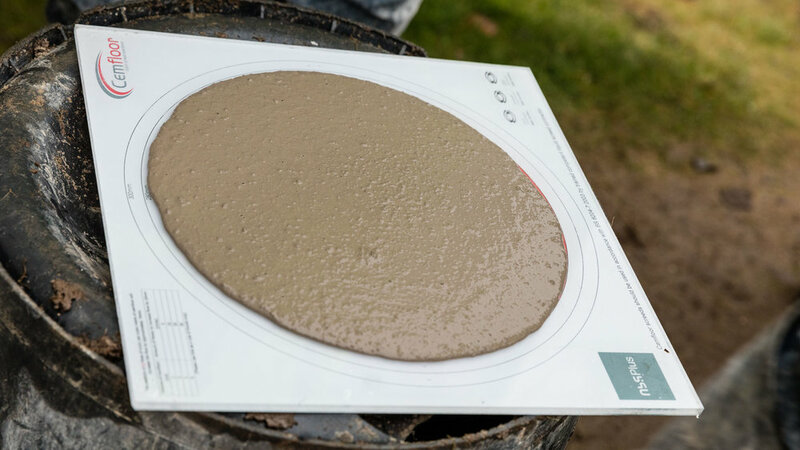 The binders content means screed can be laid to depths as low as 40mm, critically reducing the weight load on supporting structure. This means that that screeded underfloor heating systems are now doable on upper floors, where traditionally it has not been considered possible. When considering using this system, it is critical to ensure that supporting timber structure has been designed to accommodate the increased weight that is associated with the screed. Incognito Heat Co work closely with architects and structural engineers prior to plans being submitted for building warrant to ensure this system is seamlessly designed in the fabric of the buildings super structure. The system offers all the benefits of the cliprail system normally employed on a solid floor, on a timber supported floor. The cliprail system is one of the most common underﬂoor heating systems providing a quick, ﬂexible and effective form of heating within a screeded ﬂoor build up. A 500 gauge polythene slip membrane is installed across the floor prior to fitting cliprails. Once the cliprails are secured in position, the underﬂoor heating pipework is laid in continuous loops and clipped down in accordance with the underﬂoor heating design drawings. 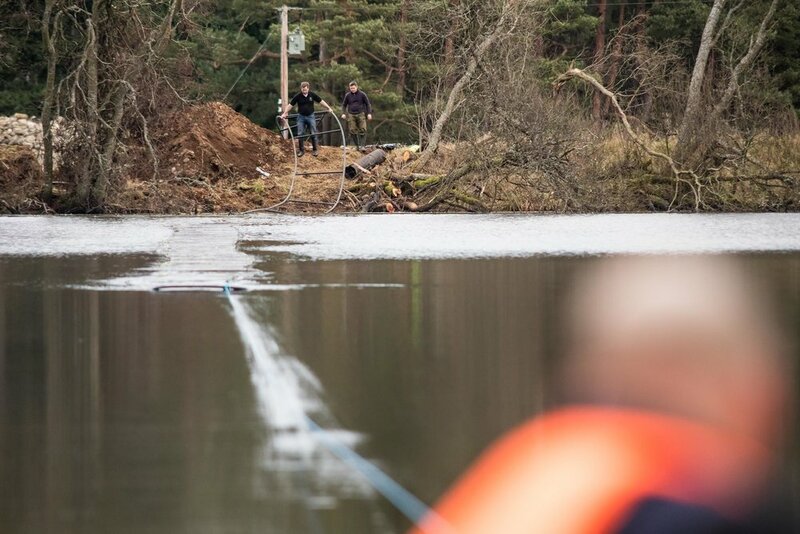 Once complete, the system is pressure tested and witnessed to ﬁnalise the installation. Screeding follows quickly afterwards, which may be as thin as 40mm. Incognito Heat Co. Prima Rebus™ is suitable for use over the underfloor heating system. 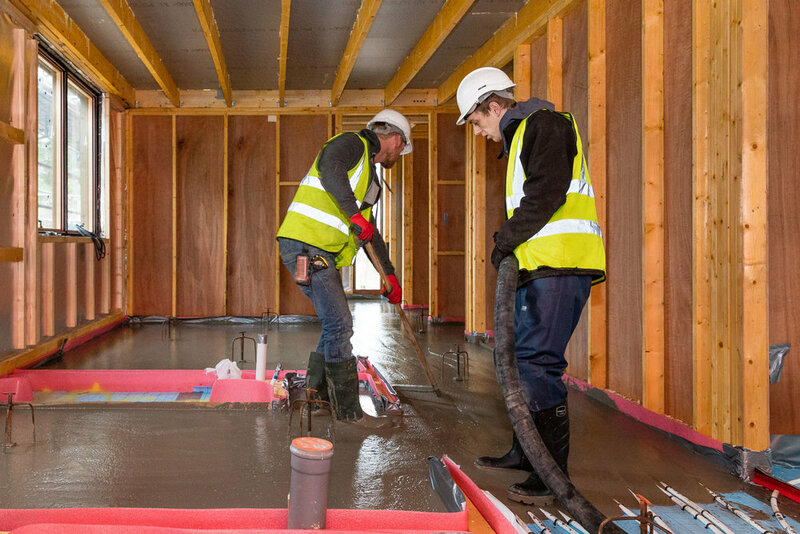 PR screed is suited to both residential and commercial properties, and will help to improve the acoustic performance of the floor to meet or exceed Part E of the building regulations. Prima Rebus™ screed also improves the environmental, fire resistance and durability characteristics and gives a concrete feel to a timber supported floor. 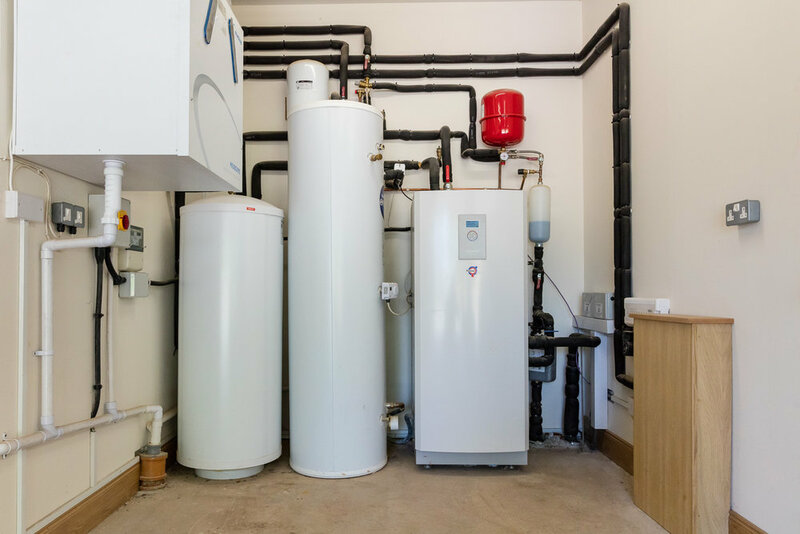 This system provides increased efficiency and maximises the Temperature Star Rating potential for clients installing ground and air source heat pumps. Underfloor Heating Cumbria is on the up, not least because Cumbria Homes decided to add underfloor heating as an option to the homes at Carleton Manor Park in Penrith and as standard to the apartments in the Manor House. Incognito Heat Co are responsible for the design, supply and installation of the underfloor heating and floor screeds throughout the houses on this site. Cumbrian Homes developments can be found throughout Cumbria from the tranquil Eden Valley to historic Carlisle and here in Carleton, Penrith, on the edge of the beautiful Lake District National Park. Cumbrian Homes are no ordinary house builders in the Lake district, they believe that their clients should get to choose exactly what they want, and are proud of their “going the extra mile, customer led service". Incognito Heat Co were delighted to have been chosen as Cumbrian Homes trusted underfloor heating and floor screeding specialist’s to carry out works when clients have selected underfloor heating, which is offered on this site as a luxury upgrade from the more traditional radiator heating systems. 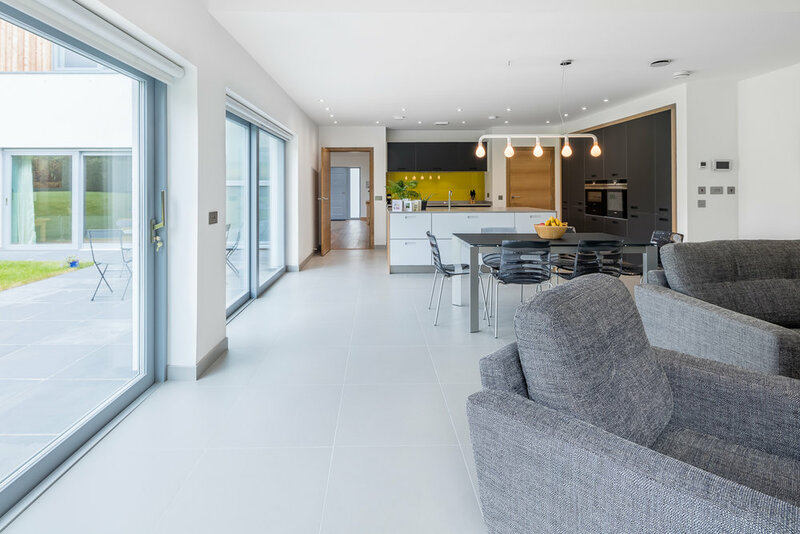 Incognito Heat Co feel the same way about customer service, and are delighted that the majority of clients to purchase houses on this site have chosen our state of art underfloor heating systems for their homes in the Lake District in Cumbria. Using our state of art rapid curing liquid floor screed over the underfloor heating systems means floors can be ready for their final covering (tiles, engineered timber, amtico or carpet) within 21 days of initial installation date. This is a drastic improvement on the more commonly used Anhydrite alternative which can take as long as 80 days plus (causing major headaches if you have a tight deadline to meet). Cemfloor is a specially formulated polymer modified binder product that is used to create self-levelling, cementitious floor screeds. Incognito Heat Co adopted this new screed material as soon as it was commercially available here in the UK in early 2017, and we’ve kept on having delighted customers ever since (including Cumbrian Homes) . Not only does it give developers the very practical onsite benefits with the speed / quality of installation, and curing times. It’s also a perfect match for our underfloor heating systems with its superior thermal conductivity, meaning heating systems are more reactive, and less costly to run. So it was an easy and exciting decision for Incognito Heat Co to switch to this new innovative material as soon as the benefits to developers and end users were apparent. The Cumbrian Homes Carleton Manor Park Development is in a highly desirable location in the heart of the Eden Valley and close to Penrith town centre. Building a real Stone build Manor House in the centre of the development is quite something. With prominent position across 'the green' the 'Manor' Apartment building is the visual feature of the development. The large 'Manor' contains nine individual luxury Apartments and will all come with Underfloor Heating Cumbria, as standard. To see more about this stunning development and how this Manor House with underfloor heating Cumbria will look like, have a look at this VIRTUAL TOUR. "If it's good don't touch it!" is the general saying, just like something along the lines of: "Never change a winning team!" and "If it ain't broke, don't fix it!". All very true, but hanging on to something too long may restrict progress and after all, here at Incognito Underfloor Heating, it is all about progress and change, otherwise we would be a coal-merchant or selling stoves! Renewable energy sources in combination with underfloor heating was the future 10 years ago and still is today. In spite of the growth that Incognito has seen over the years, there is still a long way to go to before we all benefit from green energy and the comfort of underfloor heating. So we are not quite done yet! It was therefore only appropriate to change our corporate image in accordance with what they call in marketing terms: 'within the just noticeable difference'. Hence the need to write about it in this little news blog, just in case you might have missed it...?